My art aesthetic, the body, performance, collaboration, film and mark making are all subjects that are at the core of the research enquiry. Working across a range of media and processes I have been interested in exploring how the individual interior life is made externally manifest through the collaboration with others. The latest work is two fold, a triptych film installation called, ‘Come and dance with me’ alongside a set of prints. The film shows three screens overlapping. The first screen reveals the collaborators, the second screen unveils the meeting and movement, the third screen makes visible my response to the collaborations via mark making where etching plates are strapped to the body and make contact with the floor. The final prints made show traces of the encounters experienced. Showing an award winning film installation at The British school at Rome called ‘Sweetie’ British female identity in video alongside Tracey Emin, Gillian Wearing and Georgina Starr in 2000, my work toured Internationally and was written about extensively in Editorials and Journals in the UK and abroad. A background in Fashion, combined with an interest in mask and costume have provided a rich visual resource that constantly inform’s my practice. A long standing interest in equality, identity and gender provide much of my work’s theoretical underpinning. 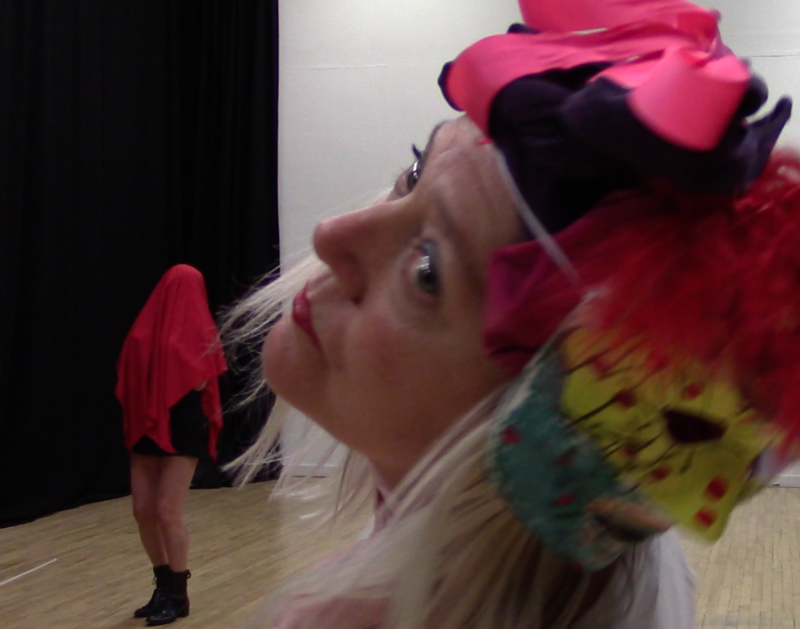 This edublog features work made on the postgraduate degree in Inclusive Arts practice at the University of Brighton.